Tapas, Pinchos & Lots More! 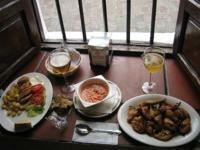 Vegetarianism is not common in Spain so vegetarians can find eating out here quite challenging. Although there are many places with no vegetarian restaurants, if you like vegetarian food, you needn’t despair as there are enough dishes without meat to make it possible for you to enjoy eating out in all but the most carnivorous environments. 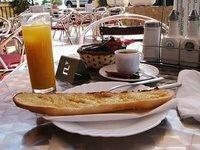 For more information on being a vegetarian in Spain, check out this article. Wherever you choose to live in Spain, there will be no shortage of bars and restaurants serving reasonably-priced local dishes. Spanish people are particularly proud of their food, including potato omelettes (tortilla española), rice dishes (paella), salmorejo (a tomato-and garlic-flavoured dip), cured ham (jamón Serrano) as well as a host of other local dishes. Don’t be shy; be adventurous and try everything! As well as traditional local dishes, you can also enjoy food from other Spanish regions and, indeed, from around the world. 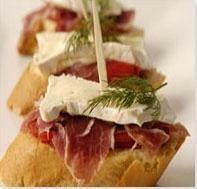 Check the local directories for food from other parts of Spain and further afield!